The Backyard Garden is one of the simple pleasures in life. 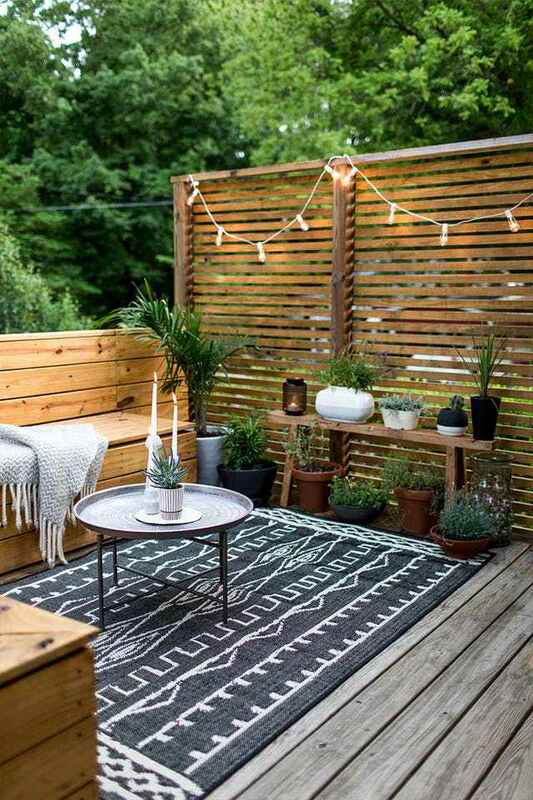 Create an outdoor living space for your needs, simple but effective. The backyard can be more than just a place to grow plants. There are many ways to make your backyard more private if you may wish to turn your backyard into the party or relax zone. Take a look for some functional and attractive ideas. 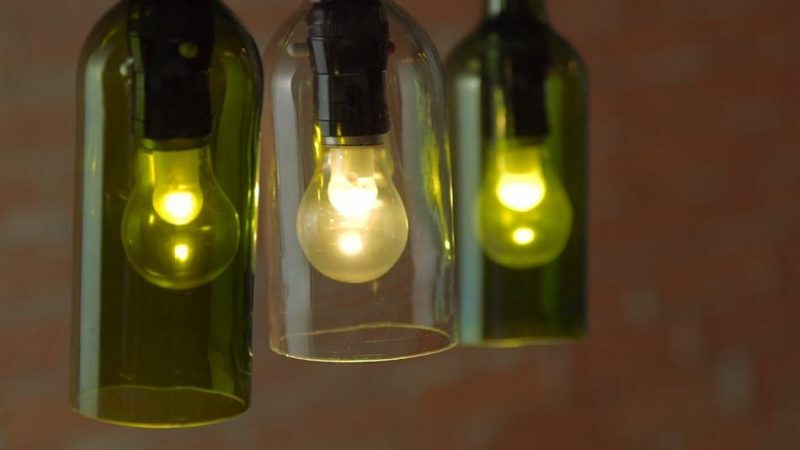 Create a glowing light arrangement out of any of your empty bottles. These lights can create a cozy, improvised table feature and are perfect for outdoor settings. For some ideas look here. 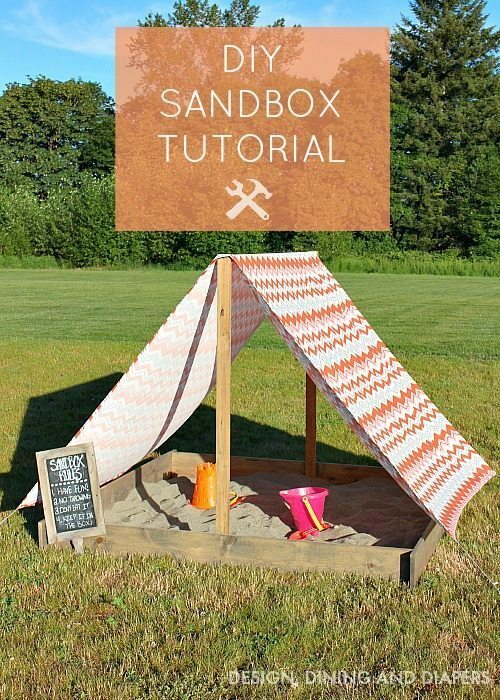 Sandbox is must-have items in your backyard if you have little children. You can make it with the things you already have it at home. Some sandbox ideasfor you. Making your garden decor more unique. You must be having an old bicycle in your garage and decor your beautiful garden area. 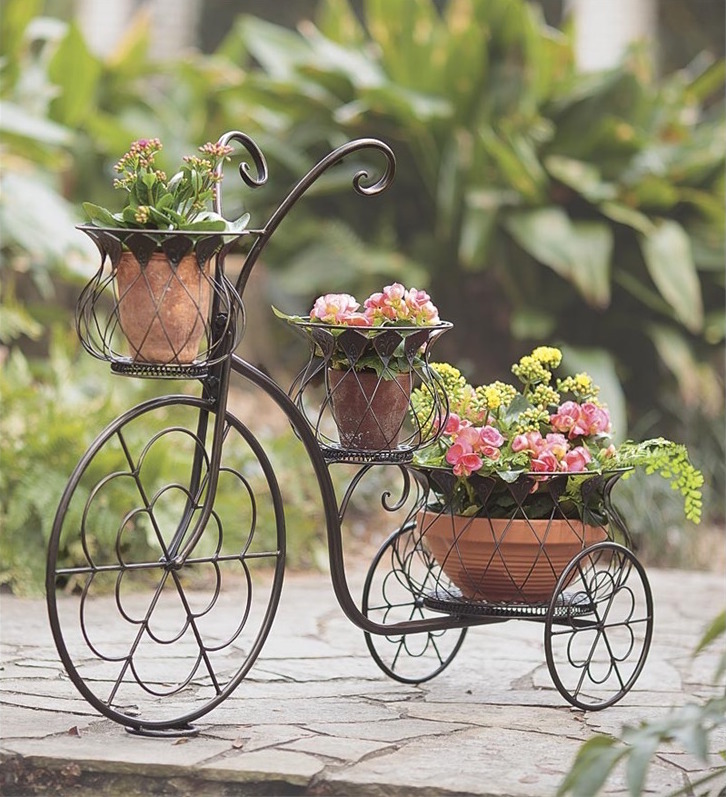 Fill baskets with plants and flowers and place them on the bicycle. For some ideas look here. With a bit of time and know-how, giving an old piece such as this a fresh new look is easy. Learnhow to create the perfect antique finish on furniture with this step-by-step. 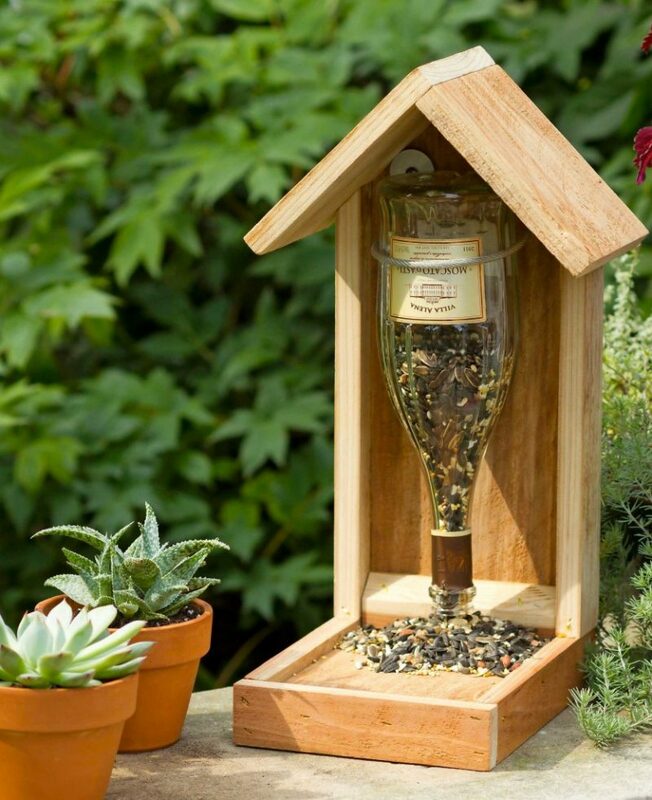 Bring the birds to the yard with these handmade feeders. A fun way for you and your kids to get to know which birds are native to your area, and help out your feathered friends when their food sources are scarce in winter-time. For some ideas, look here. 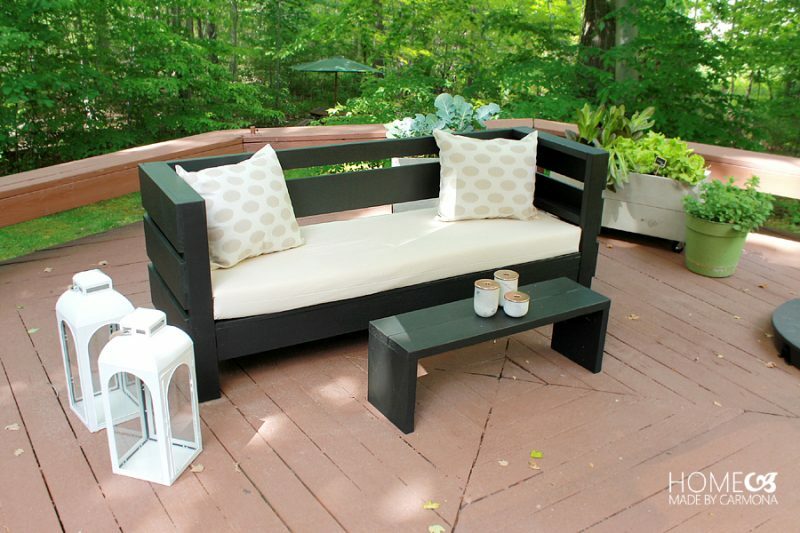 Outdoor sofas can be quite expensive, but building your own is simple! You can find an idea here! 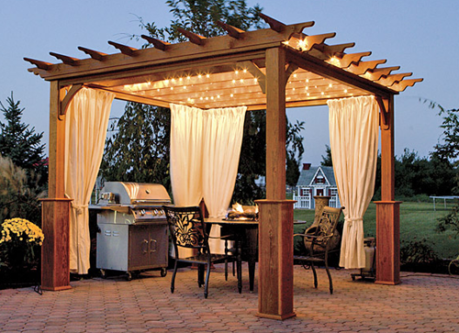 This natural looking pergola will add style to your garden. Love your garden and make the most of your outdoor space with this fantastic structure. You can enjoy a place to eat, entertain, and enjoy the outdoors no matter where you live. 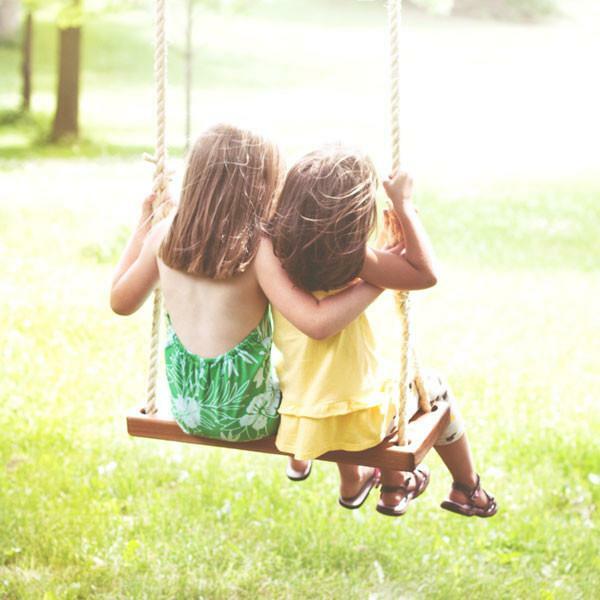 Children will spend hours playing on their wooden tree swing and build memories that will last a lifetime. Here’s a tutorial for some inspiration. A private space where children can have adventures of their own. Adults can enjoy a hot mug of coffee on a cold night. 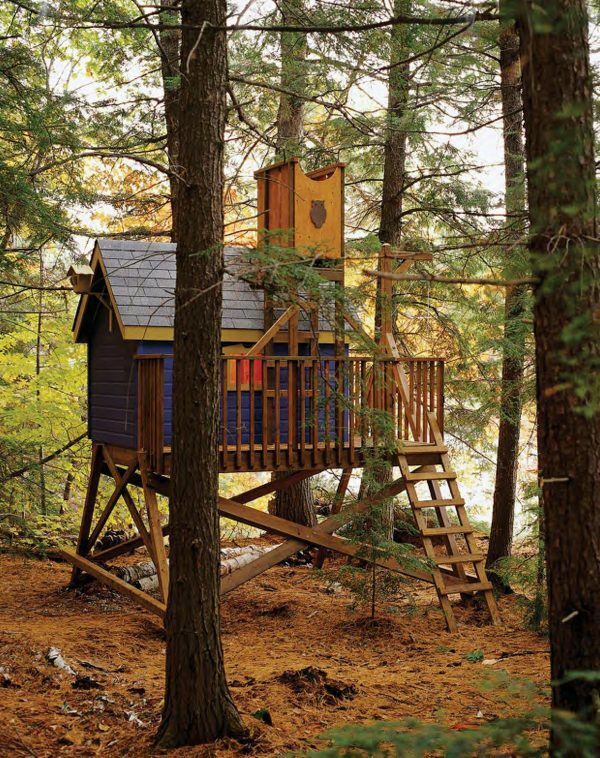 A tree house is a winner idea for anyone looking for an escape. Check out DIY ideas for a tree house. Perfect for spent time with friends and family. 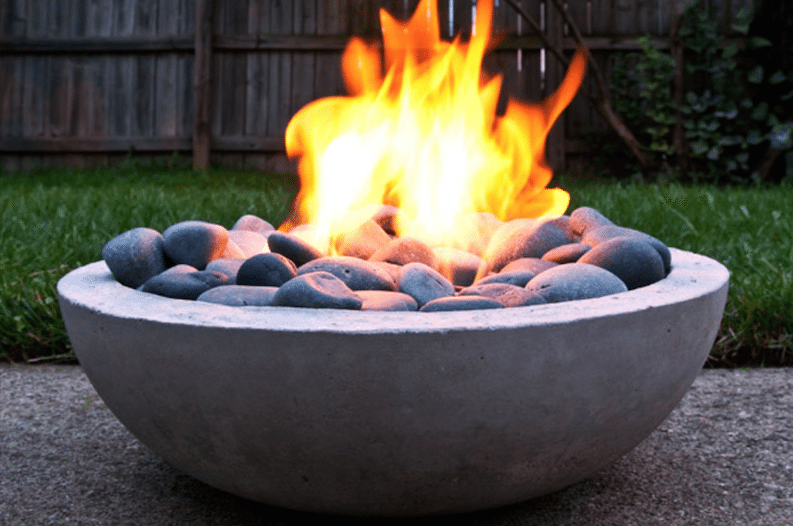 A fire pit can be the centerpiece to a backyard. Find out how to build a DIY fire pit. Create a warm focal point and a relaxed casual setting. Enjoy your beautiful backyard or garden with stylish and comfortable outdoor lounge furniture. Some of the ideas you can find here. 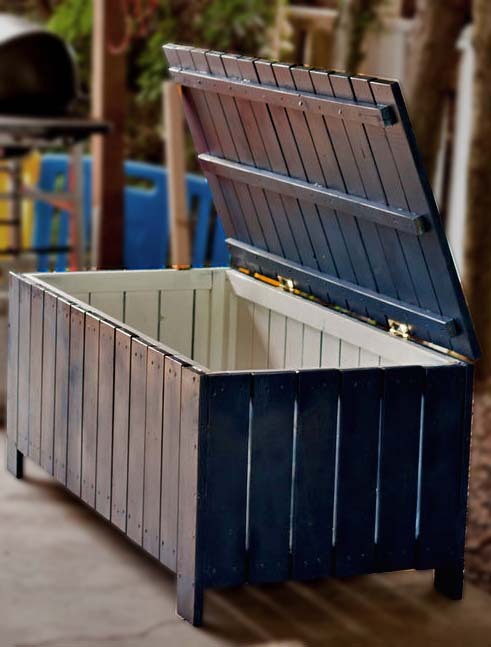 Ideal for permanent installation in your yard, and can withstand the elements year round. 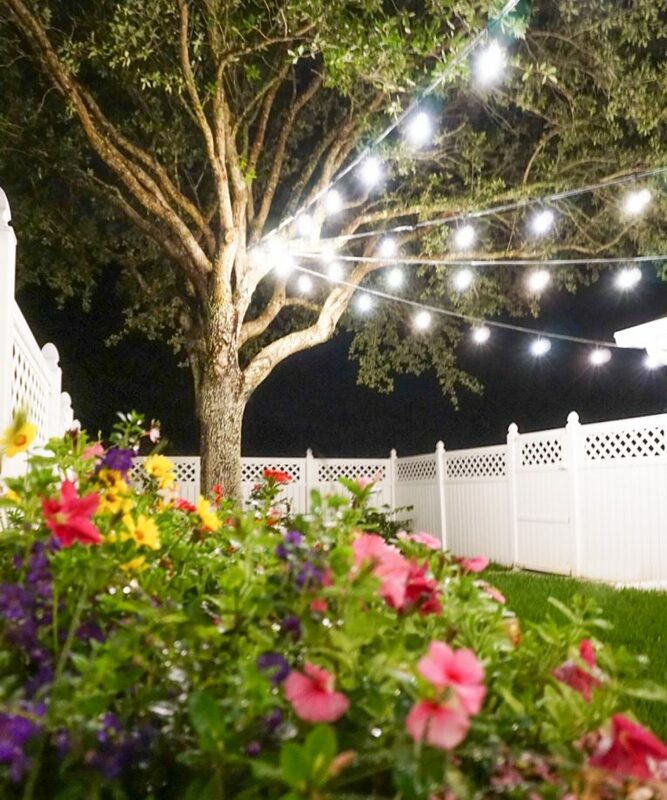 You can hang string lights over your deck, patio, balcony, garden or anywhere else you’d like a little extra glow. Here’s some inspiration. 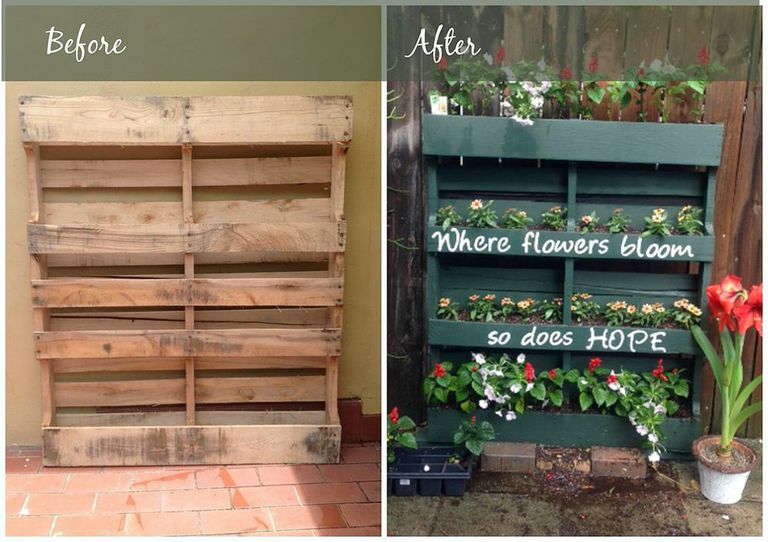 If you like to garden, then you’ll love these creative gardening ideas with a simple pallet. Just be sure you keep things clean and simple! 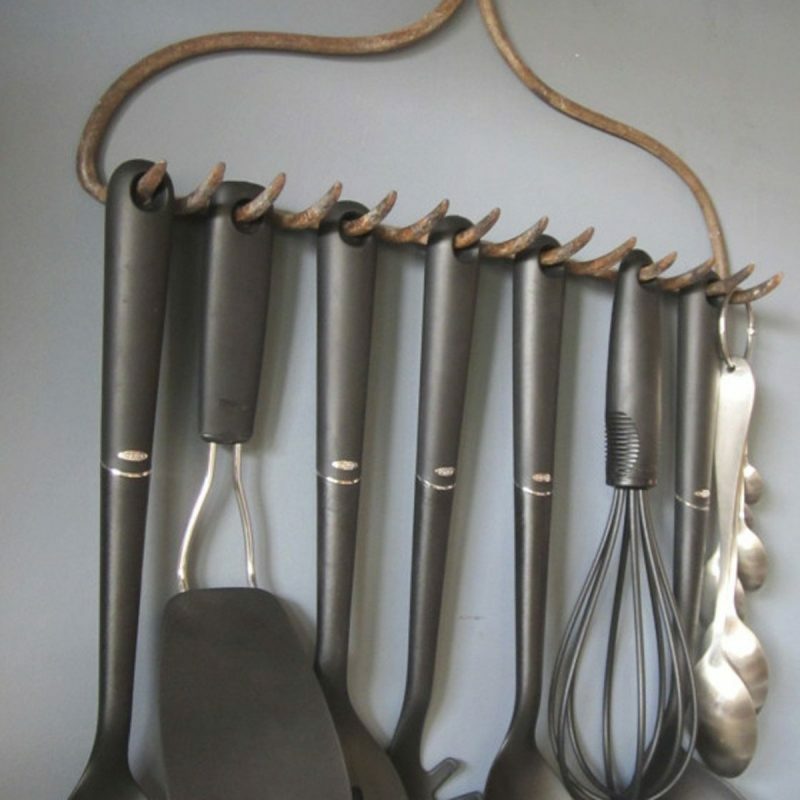 Check out these brilliant ways to store your grill tools. This will keep your BBQ essentials organized. Make sure your hammock is hung up high enough so you’re not resting on the ground when you get in! Make sure whatever kind of hook you use is able to hold your body weight. Read more here. 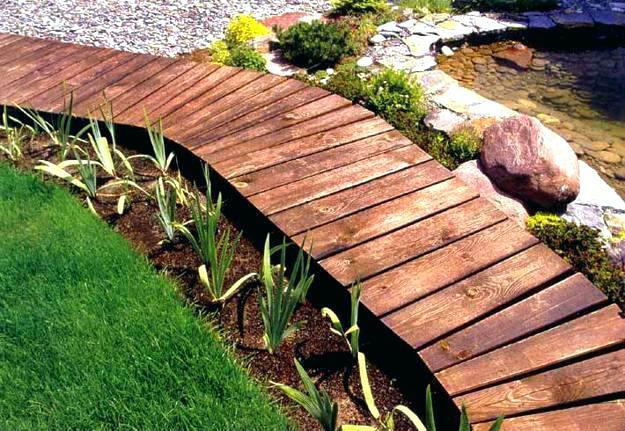 A wooden walkway makes an attractive and inexpensive garden path. For some ideas look here. Make your own Bio Garden with an old Umbrella! 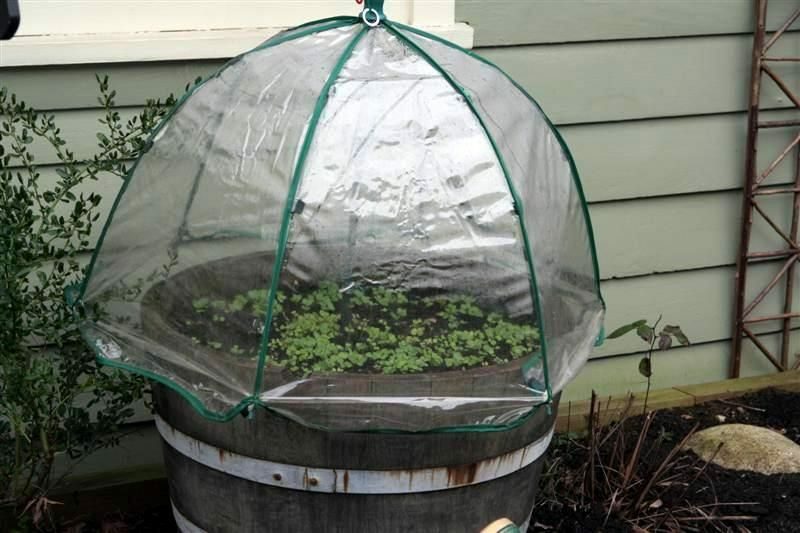 Umbrella greenhouse for herbs keeps pests away. How to make it? 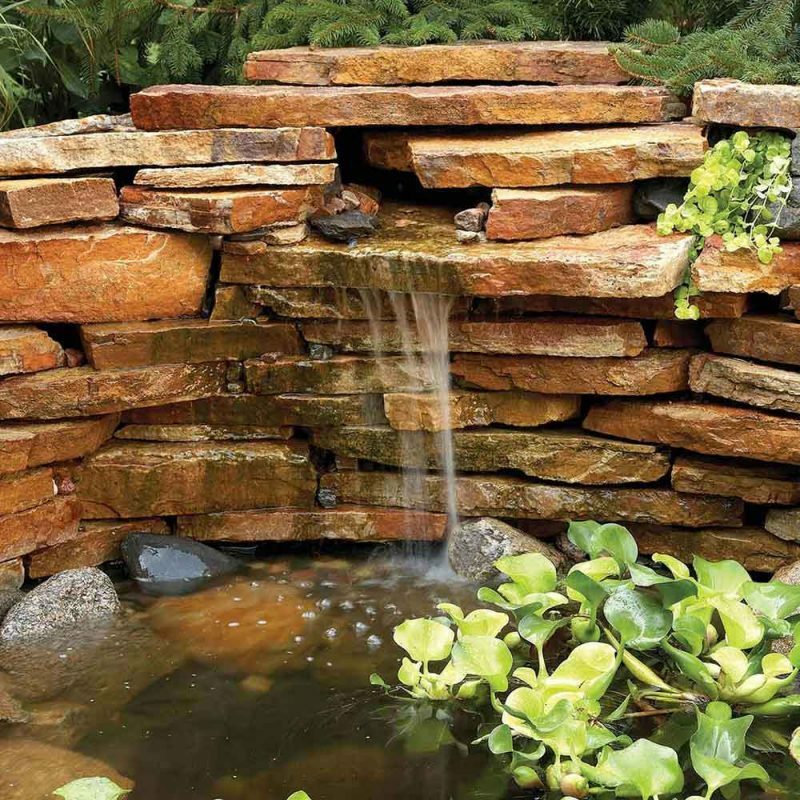 Do you want to add a water feature to your small garden? 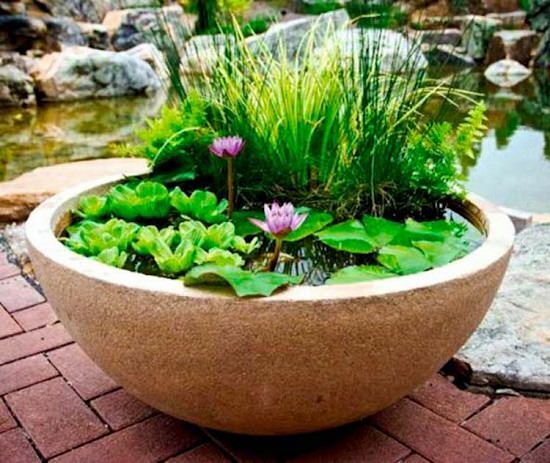 If yes, then create a pond in a pot. Do it for yourself, simple yard landscaping. 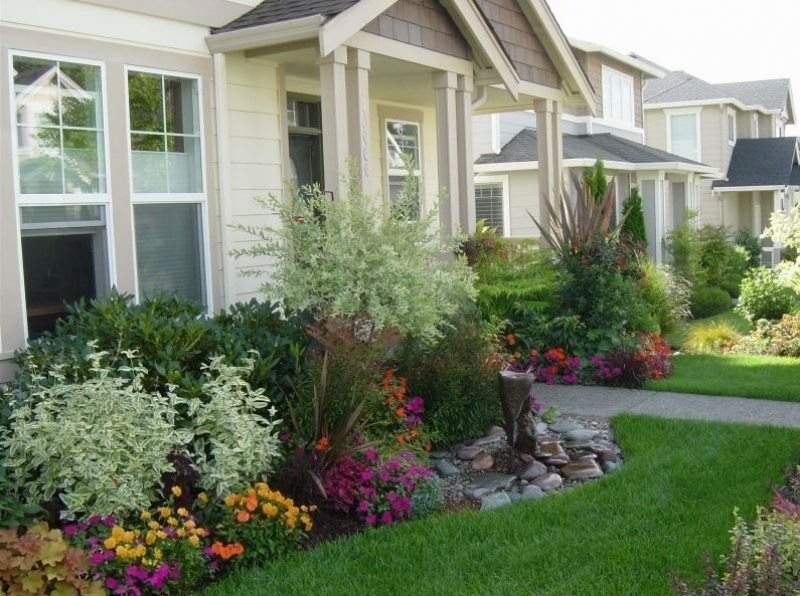 Easy landscaping ideas for front of the house. Read more here. A refreshing addition to the everyday home bathroom. 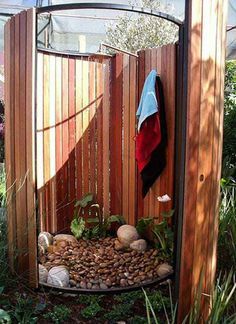 Beautiful outdoor shower ideas look here. Summer is the season for backyard parties and family picnics. Ideal for hot summer days. 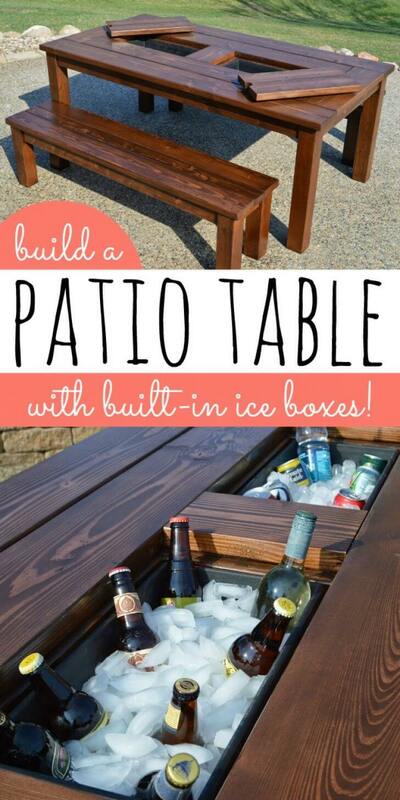 How to make Table with Icebox check here. Creating an outdoor oasis where you are going to be able to enjoy all of your time with loved ones. Decks can be easily built into almost any yard shape and size. For more check here. Moving water makes any yard more attractive. Check out these beautiful projects. Simply and comfortable outdoor seats. 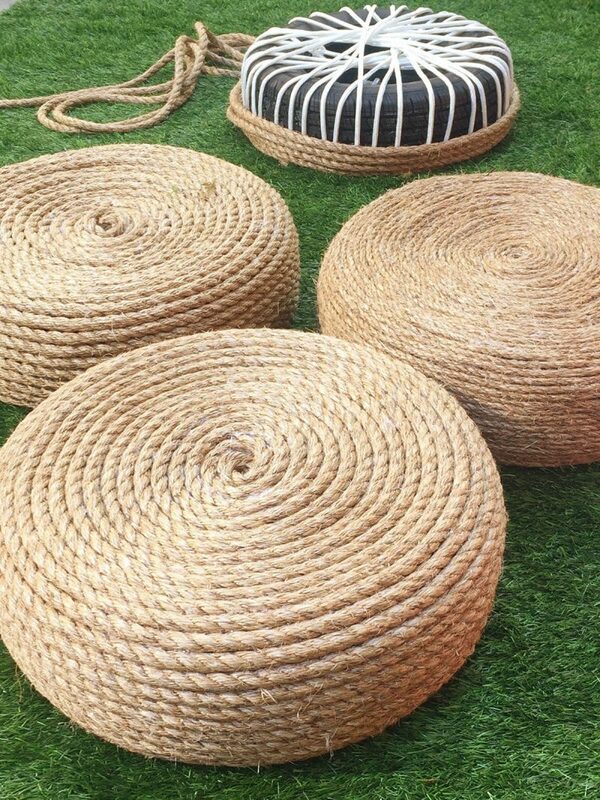 Making your garden decor more unique with old tires from your garage. How-to instructions. 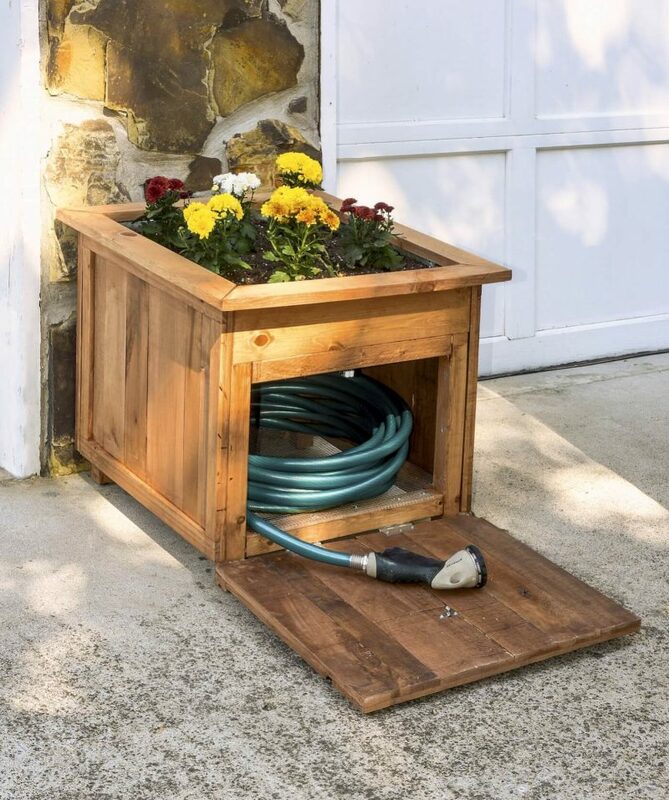 Using recycled pallet wood you can make ideal hose holder. It’s easy and inexpensive to make. How-to instructions are here. Natural rustic way to accent your home decor. 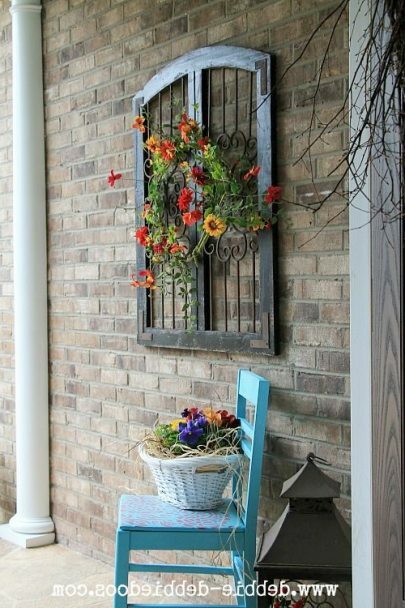 This grapevine decor brings beauty to your home and garden. Enjoy summer nights. Check out these easy instruction. If you want to maximize your organization and have enough storage outside we found a great idea for your backyard tools. How-to instructions are here. 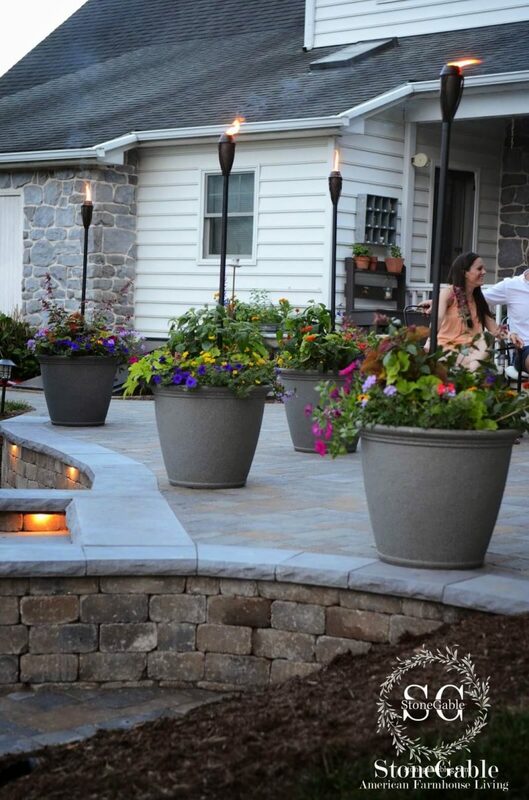 Love the idea of placing outdoor torches into flower containers! Make a romantic and beautiful backyard oasis. Read more here. 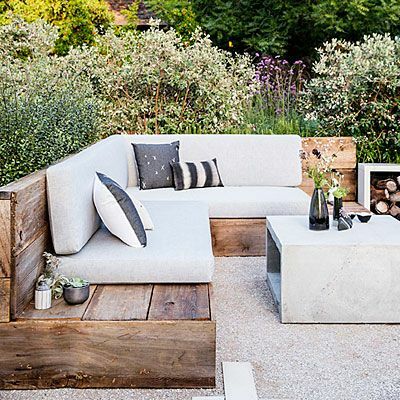 Relax on Stone & Wooden Slab Bench. 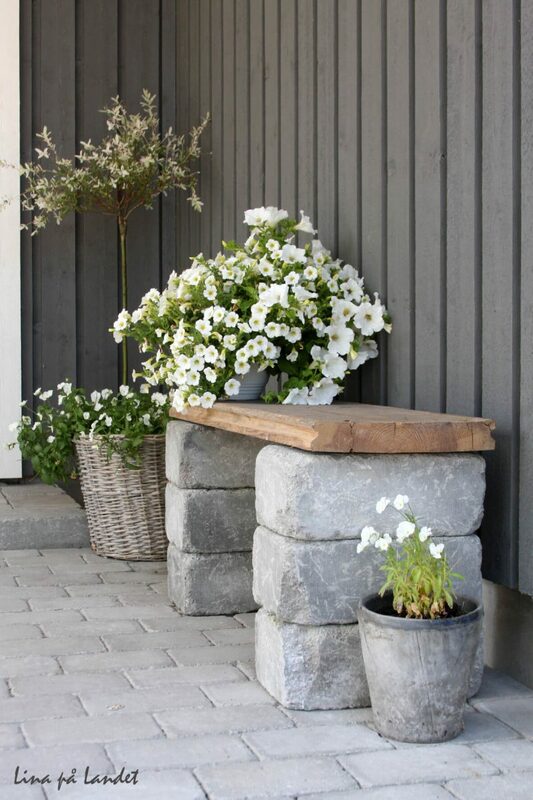 Build this attractive, durable stone table in a day. Look here for more. If you like to sow the seed and watch the progress, you need these easy to make tool. 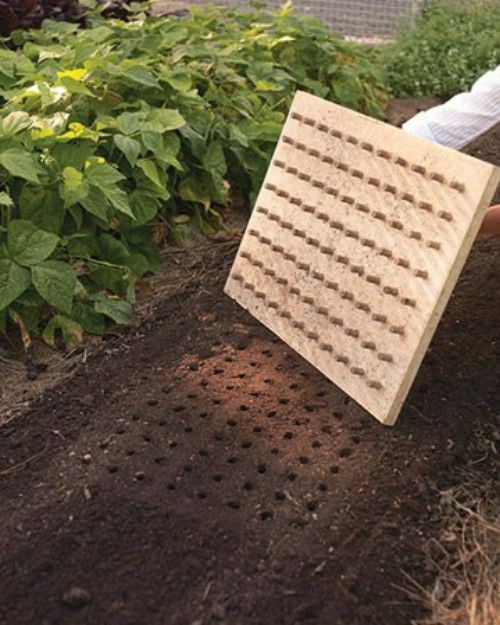 How to make Planting Board, read here. 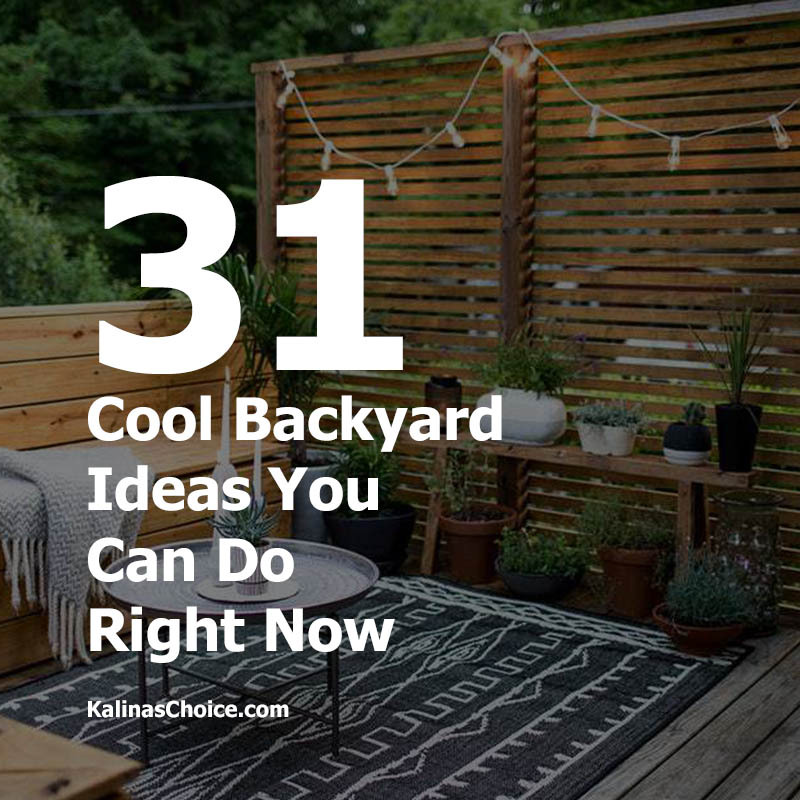 Easy-care choices for your backyard. They are simply beautiful. 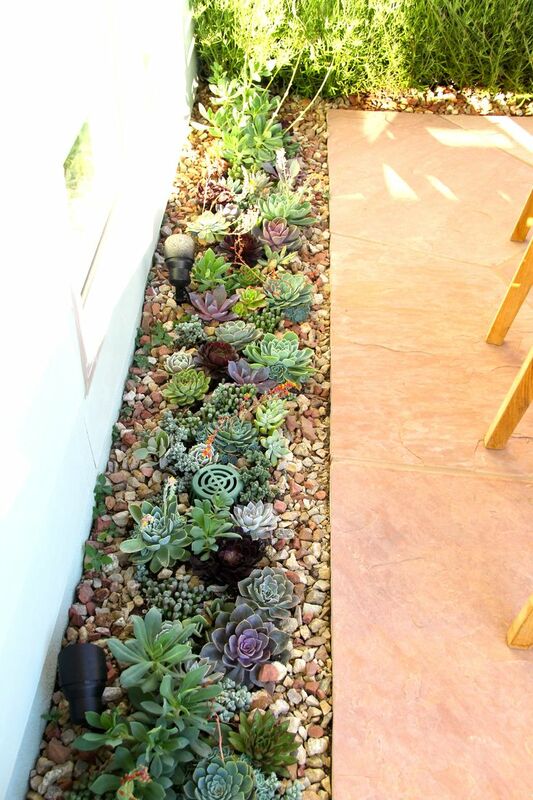 More succulent garden design ideas check here.